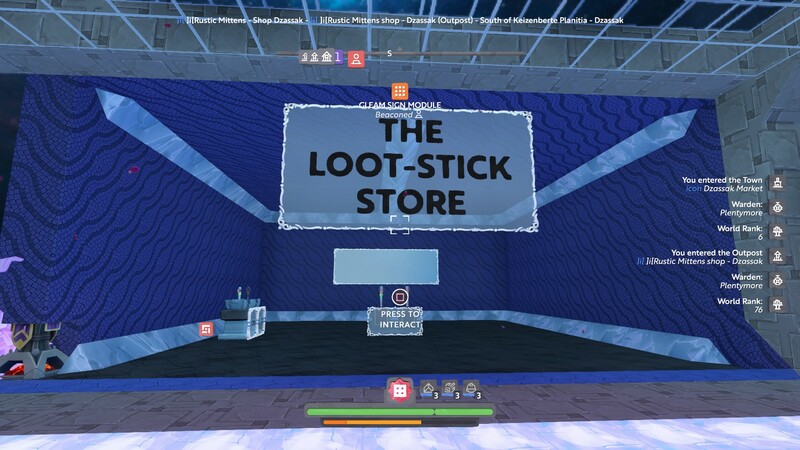 The Loot-Stick Store is now open! Find it in Dzassak Market, accessable from Lengendville, Ultima Mall and Lamblis PS. Head west along the Express Lane once you leave the portal, store is on the left! 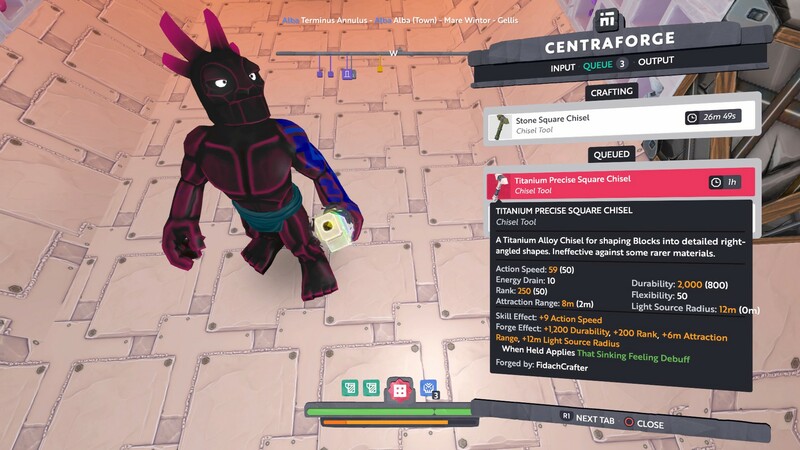 All Loot-Sticks have max light and magnet, and no quirks or defects! There is also request baskets for Gleambow And Wayfarer Totems, with 25kc in each basket. I will add a mailbox for requests, let me know what specialist tool (any at all) you would like and I’ll see what I can do. 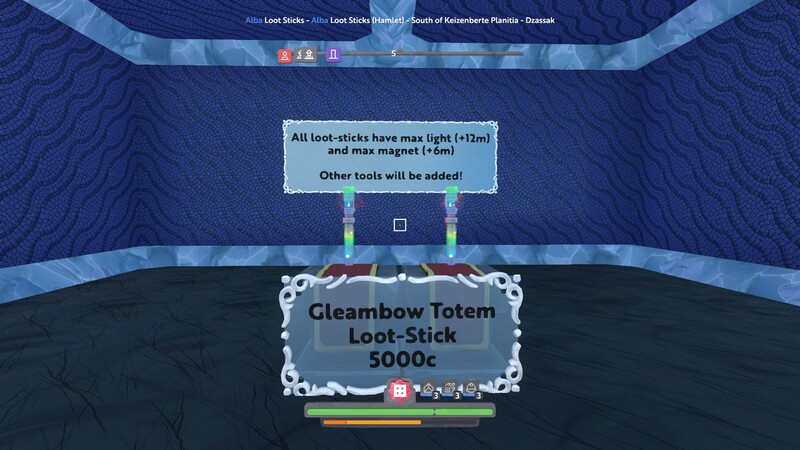 Anything labelled Loot-stick will always have max light and max magnet, the Gatherer’s Axes also have +1800 durability, all for 7500c. Choice of diamond for power or amethyst for speed! Don’t forget to offload your totems and I’ll turn them into something useful! 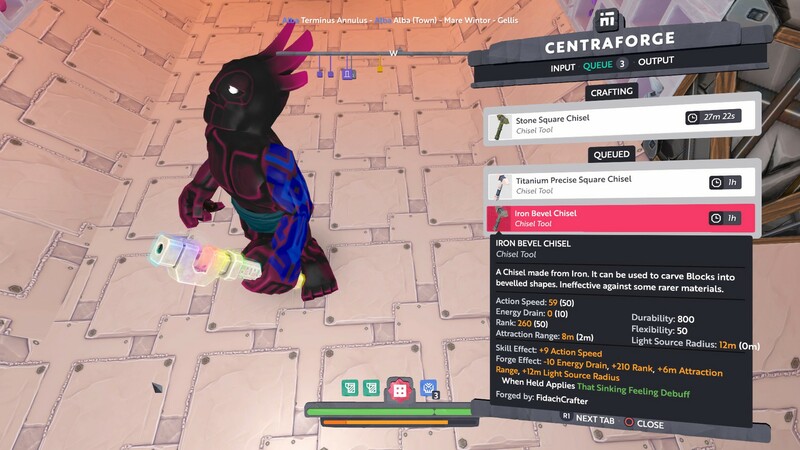 If you have quantities of gleambow or wayfarer totems, I would happily trade/discount for forged ones. Just tested out the axe loot stick with some bean gathering this morning. Its my new favourite load out for this activity! Being able to leave the atlas out permanently, having light and magnet, and an axe on hand without having to swap at anytime make this task much more enjoyable. I recommend anyone surface gathering regularly should try it out, if you haven’t already. Isnt 8m the max range or are you meaning 6m added to make it max? Yes, +6m, so 8m when you add to base 2m! 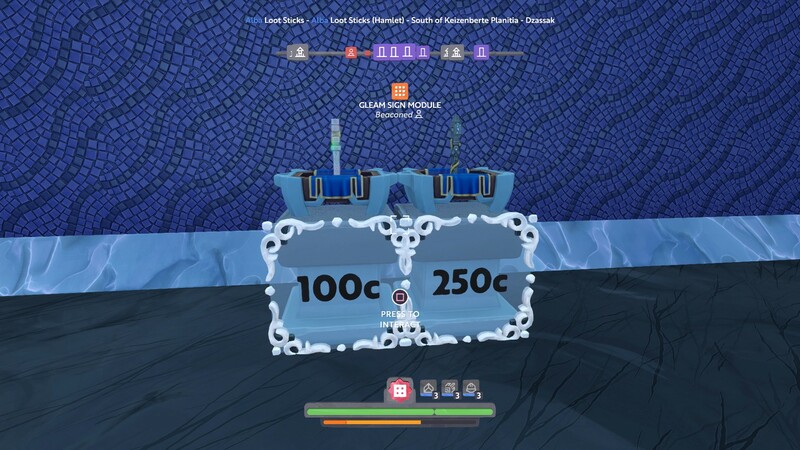 The loot-sticks have +6m on them, added to each citizens base 2m, makes the 8m, but 6m is the max the boon can add. I’m investigating how to target quirks, if it’s possible. Once I can get that right, I’ll be making those, as they are most requested! Gotcha, sign just seemed confusing most ppl dont know that so will look at max 6m and see tooltip for 8m somewhere else and assume yours are not max. I hoped the ‘+’ would help with that, and i thought that if I said the tool had 8m on it, people would expect 10m total! I guess it could be confusing either way, but this way makes most sense to me, but I can see how it may be interpreted otherwise. Does other ‘passive’ or ‘good’ quirks matter, as long as it has sinking? Eg random noises? How about defects that should make no difference, like -ve action speed? That’s fine. a sinking stick with a light would be good so i could carry an aoe hammer in the other hand to quickly dig out a safe place at the bottom of an ocean. the boon of having that same stick have loot on it just means less in my inventory. If they have no effect on what i am doing, yhen i guess no. -ve action speed might impact me if i am using the other hand to chop stuff right? I think it’s only on the tool itself, rather than on the character, as it’s a defect? Maybe if it was a quirk it would apply to the character? Not sure really but my guess is that it applies to the character while holding it (both hands) ? Just tested it out, a -15 action speed forge effect on left hand tool has no effect on the speed of my right hand tool! Max Loot-Sticks with sinking, no other quirks and no defects! They are very limited (only 4 total) and are not gonna be cheap, due to difficulty and amount of mats used in targeting a single quirk! If I can manage to get a better method I will make them cheaper, but these will be available for 20kc. All prices now significantly reduced, get them before they are gone!